I returned to Oaxaca this year to take a second photography workshop with Mary Ellen Mark. Here is an account of that trip — and its impact on me — that I wrote for a local magazine. It is an updated version of the story of my first workshop a year ago. The bull had been chased at survival-of-the-fittest speed by a charro on horseback, grabbed by the tail, and then flipped nose first upside down into the dirt, where its rolling bulk created a sideways tornado of dust and grit that hid all but its whirling hooves and horns. Now, it was coming my way — one ton of off-the-hoof, out-of-control hamburger on a collision course with me and my Nikon. My options were few. A brick wall behind me. A cluster of horses, ridden by wranglers waiting for the bull to come out of the spin cycle, in front. A flimsy metal gate to my left. I defied the complaints of aging knees, muttered a silent namaste of thanks to my yoga teacher and leapt for the gate. A second later the bull gained its footing, arose from the ground like a drunken frat boy who had been ejected from a hipster bar, and looked for something two-legged on whom it could exact revenge. Its eyes, angry and aflame, found mine, doe-like and frozen, in my perch three feet above him on the gate. The bull swung his heavy, bony head into the gate, rattling my nerves and my bones. Then the charros, emitting whoops and wielding lassos, chased off the beast. I checked the camera, noticed bull spittle on my jeans, moved back down along the wall and waited for the next animal. Just another vacation day in Mexico. This bull story is no bull. But there are greater truths to be told here. My nose-to-nose encounter with the bull happened while I was photographing the second day of a charreada, a traditional Mexican rodeo that took place about 10 miles south of the city of Oaxaca in a town called Tlalixtac de Cabrera. There, teams of charros, the iconic Mexican horsemen whose tight-fitting suits and wide-brimmed sombreros remind tourists of mariachi bands but whose history is rooted in the horse culture brought to Mexico by the Spanish conquistadores, competed for the state championship. I was in the lienzo charro (the arena) because of one woman, Mary Ellen Mark, the iconic photojournalist who has worked for Federico Fellini, and Life and Vanity Fair, but is best known for her lifelong pursuit of documenting those who inhabit society’s fringes — street kids, circus performers and prostitutes. She was a hero of my youth, the reason I became a photographer. 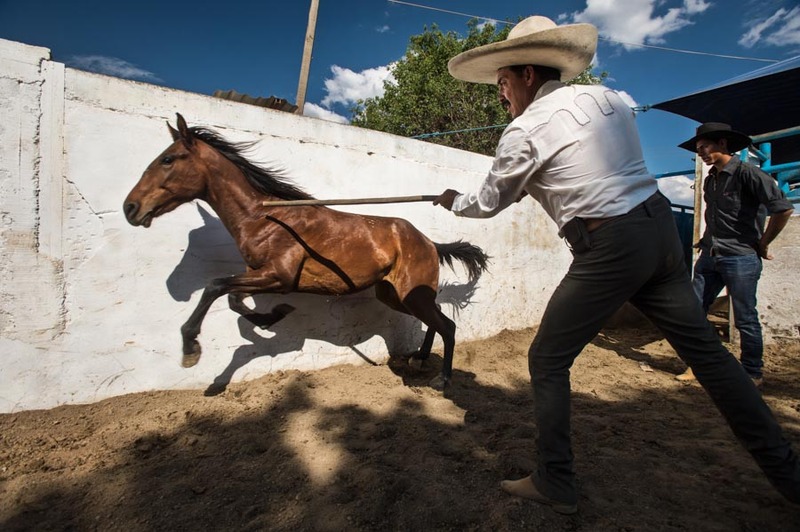 My two days with the charros were part of a 10-day photography workshop she led in March in Oaxaca. I first learned of Mary Ellen when I was in my 20s. The ’60s had come and gone and I was living in the wake of the period’s wanton indulgences. I’d gotten a low-level job in a swanky Nob Hill hotel and returned to college, but I had no plan. School was merely a way out of a life I could no longer live. One day I saw two photographs in a magazine, both taken in India. In the first, a boy sat at table in a cafe. His hair was long, his shirt torn. He leaned, dreamy-eyed, toward a glow coming from a nearby window. The second photo showed a hippie couple resting on a beach. They wore white, wispy clothes. The boy’s hands rested on a harmonium, an Indian hand organ. He and the girl gazed languidly toward the sea. In those lost children, I saw myself. The images embodied the untethered wandering that defined the era and that had led me, unwittingly, down shrouded paths from which many never returned. I’ve never forgotten those two photos. Her desire inspired me, a confused young man who had passed from adolescence into adulthood along those same edges. I bought a camera. I learned to develop film, found a job in a darkroom and began shooting on the street, joined the community college paper, and started shooting news. There was plenty of that in those days — kidnappings, demonstrations, strikes. I used the camera to both open the world to me and to shield me from it. In journalism, I’d found a purpose. I freelanced and hoped for a career in photojournalism . But it wasn’t to be. My work wasn’t that strong. I was too timid, too distant. More than that, I allowed insecurity to ride roughshod over passion. To stay in journalism, I started writing, which came more easily than photography. Ambition took hold and I followed the opportunities — editor of this, editor of that, editor of whatever came along. Then it was over. That’s too long a story to tell here. Suffice to say that 30 years after finding myself, I was lost again. Time passed. One day I took out my old Nikon, loaded some film and wandered about the suburban marshes. Just like that, it all came back. My wife, more perceptive about me than I am, gave me a small digital camera. I learned the software. I bought a bigger camera. I found work with a local magazine that needed someone who could both shoot and write. Over time, more work came. And better cameras. And lights. And a studio. I became, at last, a photographer. There was still that itch, unscratched — the edge, the margin, the harder truths. Don’t get me wrong. 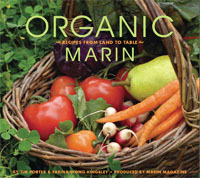 Living and working in Marin is a good life that many would like to have. But edgy it ain’t. Then, 18 months ago serendipity struck. I learned of Mary Ellen Mark’s workshop in Oaxaca (where my wife and I had built a house). So tantalizing, so coincidental it seemed impossible — Mary Ellen (my inspiration), photojournalism (my abandoned child) and Oaxaca (my adopted city) all combined. I joined the workshop last year. I met Mary Ellen (an extraordinary woman of relentless authenticity). I photographed in garbage dumps and garlic fields and the bedrooms of transvestites. I jabbered all day in Spanish. I came home with several good photos and a vow to return — which I did in March. This year, when I returned home from Oaxaca, a friend asked, What did you learn? That photography soothes me with its seeing and excites me with its engagement. That I am moved by the tenacity and spirit and generosity of those who struggle daily for survival. I wish I were more like them. That I remain, after all these decades, hesitant in the face of challenge, overly self-critical on the verge of success and easily distracted from the pursuit of the long-term by the gratifications of the short. Good lessons, yes, but truthfully I knew all of those things before I went to Oaxaca in March, so you might say I learned nothing. You would be wrong. What Mary Ellen Mark taught me most of all was to trust who I am. In that sense, I learned everything. 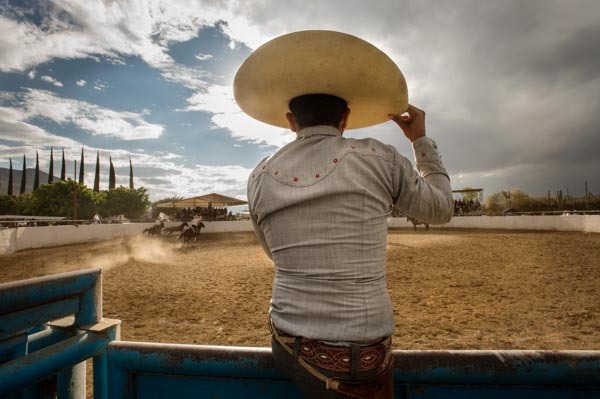 This entry was posted in Mexico, Personal, Photography and tagged charreada, charros, Mary Ellen Mark, Mexico, Oaxaca, Photography.